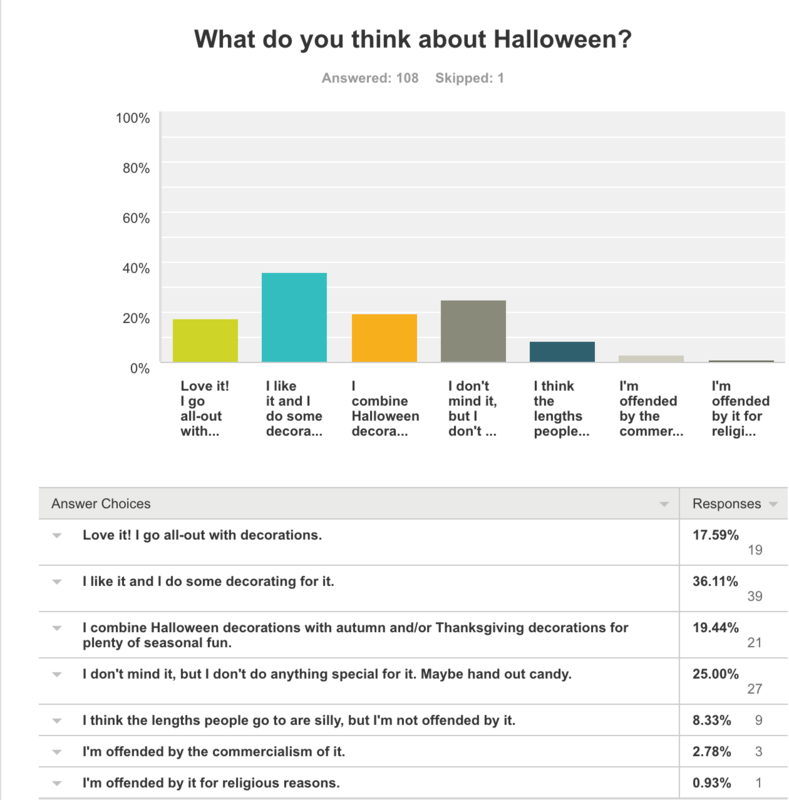 Thanks to everyone who voted in our poll about Halloween. Even this small sampling confirmed our feeling that people love this holiday! We’ll definitely plan more–but not too many–spooky projects for 2018! Scroll down to see the results. Didn’t get to vote? Click here to add your thoughts! What do you think about Halloween? More than half of you like or love it! 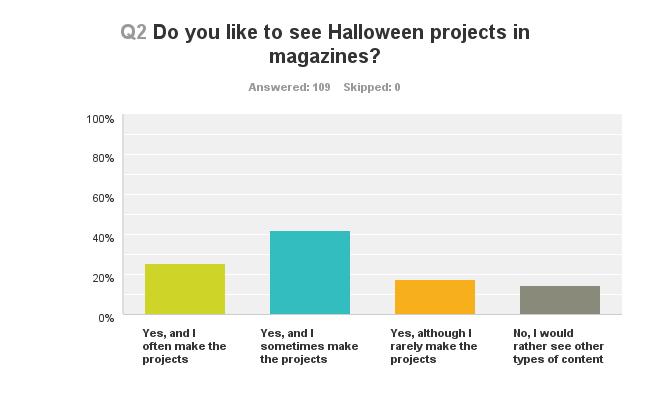 Do you like to see Halloween projects in magazines? A whopping 85% said yes! 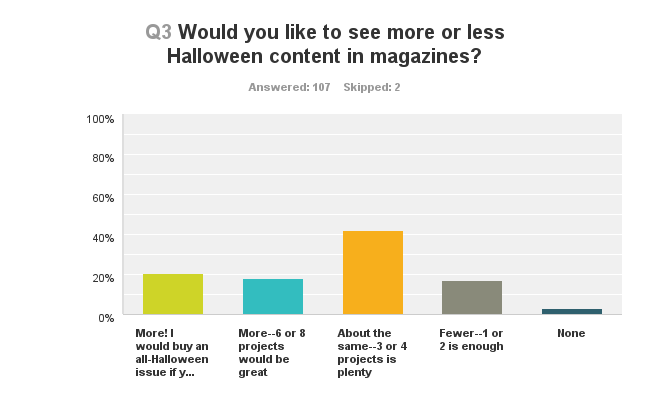 Would you like to see more or less Halloween content in magazines? Looks like we’re doing a good job. 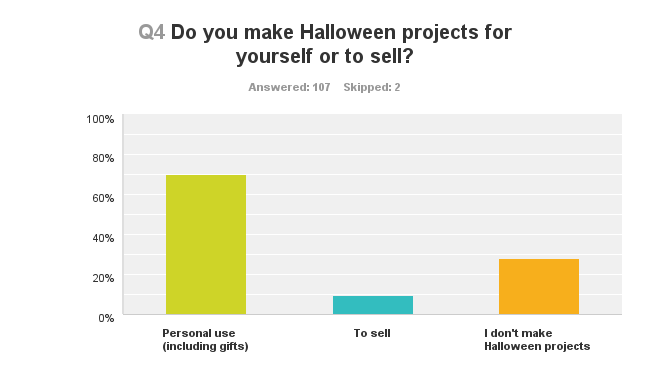 Do you make Halloween projects for yourself or to sell? It’s all about you! 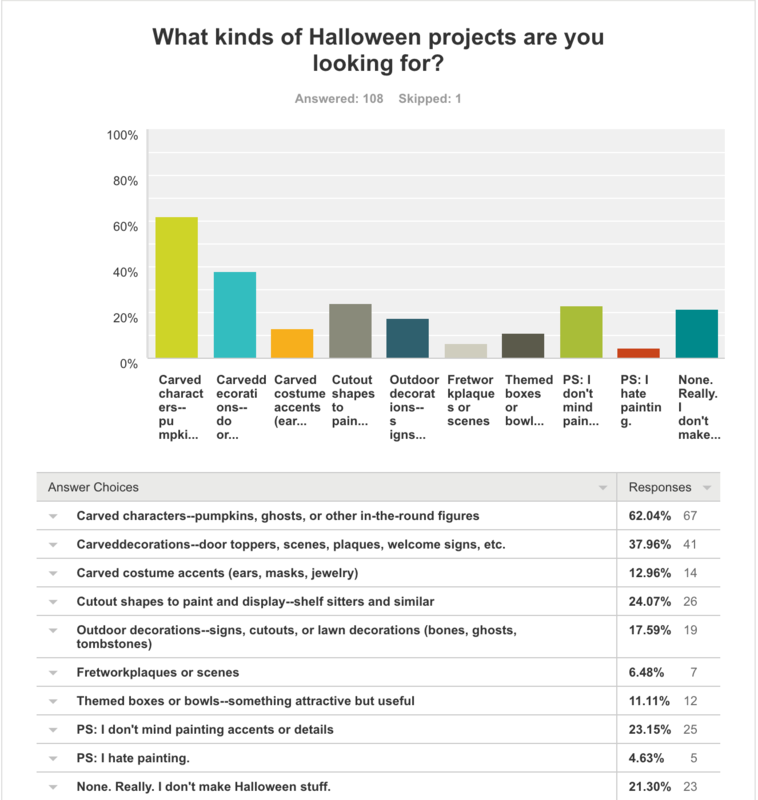 What kinds of Halloween projects are you looking for? Thanks for helping us plan!